← Is it Worth the Effort? play well, have fun and win in no particular order. Others tell me I should “play up”, tennis jargon meaning I should play with people who play at a stronger level than I. I get that. “Playing up” would improve my game and as you know, I am into continuous improvement. I can improve my game by playing with stronger players who hit the ball with more pace and force. becomes descriptive of my level and I am no longer “playing up”, but for now I am good with the term. I choose not to “play up.” Instead, I play with men whom I have known for many years. All strong players in their day, the years have not necessarily been kind to their game as they have knee, hip, and other medical issues. They are retired businessmen, physicians, and attorneys who continue to share their valuable life experience on corporate and non-profit boards, and with me. I respect these men and value our friendship. While they are 10 – 20 years my senior, I play with them because I thoroughly enjoy my time with them. “That’s not doing much for your game!” friends argue about my Saturdays with the men. But, you see, on Saturday, it isn’t about strengthening my game. Frankly, it isn’t even about tennis. Saturday is about something else and it just happens to be on a tennis court. The men inquire about my work, my blog, my health, and even whom I am dating. And I, become updated on their lives. No, Saturday isn’t at all about strengthening my game. Many of my blogs suggest that you“get your game together”, that you understand yourself and ensure that your behavior is in alignment with your values—an all-important start to working on your SUCCESSTROGEN level. But please understand that I am not suggesting that we become totally self-absorbed and that life is all about us—not even close. While taking care of ourselves and continuously improving our “game”, a healthy balance is achieved by getting outside of ourselves. As a single woman, my life can easily become all about me as I do what I want to do most of the time. While I enjoy being in control of my world, my world is out of balance when it is totally about me. My SUCCESSTROGEN level drops as my need to make a difference in other’s lives is not met. Years ago as a young married woman and mom of five children, my life was hardly ever about me, again an unhealthy imbalance. My SUCCESSTROGEN is higher when my life has balance. I need a healthy balance of doing for myself and doing with and for others. 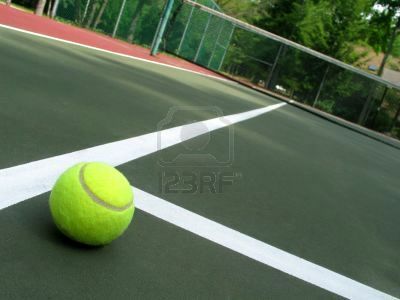 Today I will work on my research, work out in the gym, and play tennis. And I have also set aside time to visit with a friend and will have dinner with someone who is anxious about his impending surgery. I need balance between being organized and responding spontaneously, between the time I spend with others and the time I spend alone, between my work and my personal life. So how about you? Do you continue to check your SUCCESSTROGEN level daily? Where is there balance in your life, and where would an adjustment result in a higher SUCCESSTROGEN level? I had a similar tennis situation when I played years ago, and often. The ladies I started with were “working girls” and I had the opportunitity while married to only work in the home. So, I got to play more often than my original group and shortly “played myself above” the ladies I started with. I never gave up my Saturday game with them for their friendship and fun. I also used the time to better my game. Testing shotmaking I did not do in the Real competitive games and since we alternated partners, usually the one playing with me won, so we all went home happy !